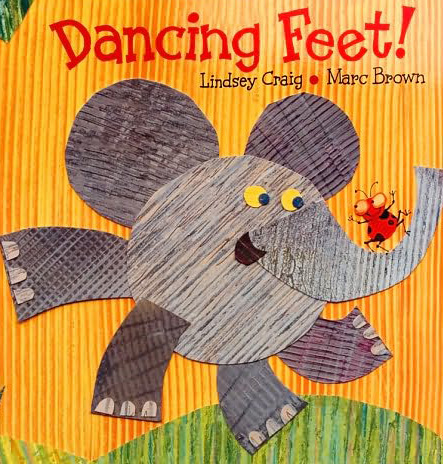 ABCs of Reading: Dancing Feet! Want to get your little ones off on the right foot when it comes to thinking about reading? Read aloud this picture book to introduce questioning to beginning readers. Pause after you read the question for each animal. (“Who is dancing that tippity beat?”) Invite youngsters to look at the animal’s footprints and isolated body parts to predict which animal will be shown on the next page. After thinking about the answer to each question, turn the page and explore one of the movement suggestions below. When youngsters are familiar with the rhythm of the text and movements, vary your speed to help develop their body control and listening skills. Get up on your feet to show your appreciation for the contributors of this movement lesson—Maria Hanley and Kerry Aradhya. To see more of their great ideas for combining picture books with creative movement, just hop over to their blogs! Nice! This looks like fun! This is great! I have been following Kerry's blog for some time now, and it's great! Good to see her (and Maria) featured here. Thank so much for featuring my ideas at your blog! I look forward to reading more of your ideas and connecting! :) Keep up the great work! What a cool book! I definitely need to look for it. Thanks. Looking forward to reading this during storytime visits. I plan to play "Animal Action 1" by Steve and Greg as an activity after the story.